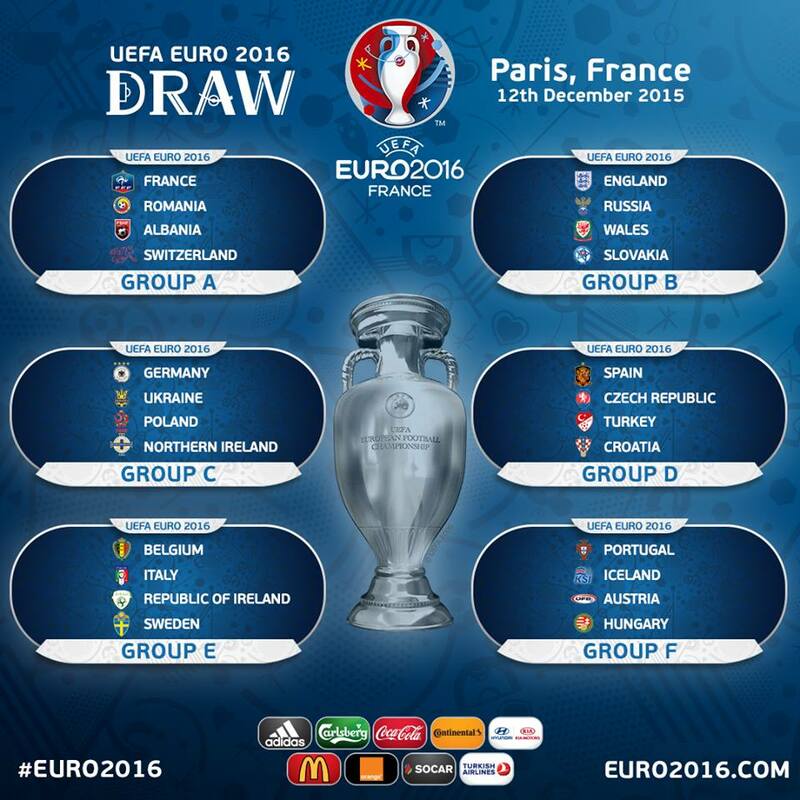 Wales and England will meet at Euro 2016 after being drawn together in Group B for next summer’s finals in France. European Championship debutants Northern Ireland are in Group C with world champions Germany, Poland and Ukraine. The Republic of Ireland are up against the world’s top-ranked side Belgium, Italy and Sweden in Group E.